On Sunday 25th June, the 2017 Greater London Orienteering Summer Series (GLOSS) started. The series ran every Sunday for 5 successive weeks. This is a link to the 2017 Series Homepage and the GLOSS series 2017 flyer is here! LOK organised the second GLOSS event at Alexandra Palace on Sunday 2nd July. Full results now available including series scoring and routegadget. The following are the event write-ups for each event by Catherine Galvin. It was a hot (19c), humid (68%) and sunny start to the 2017 GLOSS series at Belhus Woods in Essex as HAVOC hosted a GLOSS (nee FROLICS) event for the very first time in the series’ 30-year lifetime. Belhus Woods comprises ancient woodland, parkland and gravel workings turned lakes-and-isthmuses from the former Belhus estate. Planner Janet Biggs exploited the difficulties posed by the area’s deep ditches and dense linear vegetation to test navigation all the way round. The extension course provided novelty in the form of a control on a pipeline (#17) as well as route choice around the lakes (see leg 20 to 21). 76 competitors took part with 67 completing the GLOSS course, 37 of whom went on to complete the 6.5 km Extension course. Overall GLOSS numbers were up 3 from the inaugural event of the 2016 series at Nonsuch Park in Cheam. Full (unhandicapped) results are already available on HAVOC’s website. Show the planner where you went and review others’ routes on Routegadget. (There may be a short delay before the event courses are shown). We have not changed the handicapping system from last year, meaning that competitors’ average British Orienteering ranking points as at 22 June 2017 have been used to provide a handicap. Each point more than 1,000 earns a 4 seconds handicap. Each point less than 1,000 earns a 4 seconds reduction to actual race time. For more information on the handicapping see the GLOSS guidelines. Kevin Fielding (HH) and Sue Carter (SLOW) were quickest round the 3½ km GLOSS course in 22:25 and 26:27 minutes respectively. However after handicapping Ian Catchpole (DFOK) had the fastest time in 15:29 (after deduction of nearly 19 minutes). 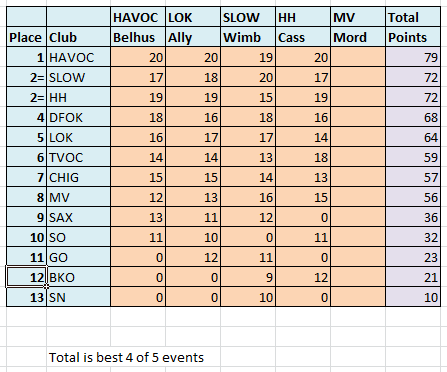 With the top six on handicap to score, HH, DFOK, SLOW and LOK as well as hosts HAVOC were able to field full teams. HAVOC were the clear winners of the first round despite fielding 9 competitors against second club HH’s 15. See here handicapped results and team scoring. Next up in the 2017 GLOSS series is LOK’s event this coming Sunday, 2 July, at Alexandra Palace, which has good public transport links from central London. First start is at 10:45. See you there! It was a perfect summer’s day for orienteering. Sun, warmth (20c) and stunning views over London afforded by the hill on which Alexandra Palace stands. In total 84 (out of 88) competitors successfully navigated their way round the 3.65km, 95m of climb and 16 controls GLOSS course, enjoying a mix of park and wood. Such was the heat that there was only the occasional half suggestion on the ground of the rain of the past week. Trickiest control for the 36 competitors who opted for the 1.9km extension course with a further 60m of climb was number 4 inside, rather than outside the Rose Garden. Thanks to Julie (Planner) and Ronan (Controller) Cleary for the GLOSS courses – see their separate comments below – and also to organsier (Dinis Costa). Full (unhandicapped) results are available here. Show everyone where you went and review others’ routes on Routegadget. Edward Catmur (SLOW) and Katrina McLeod (LUUOC – Leeds University) were quickest round the GLOSS course in 17:50 and 23:34 minutes respectively. Quickest junior was Adam Conway (GO) in 21:57. However after handicapping Matthew Lefevre, an M18, and like last week’s winner on handicapper, a member of DFOK had the fastest time in 19:36 (after deduction of 21 minutes). HAVOC therefore retain their lead in the GLOSS series with HH just 2 points behind. See here for handicapped results and team scoring. Any scoring queries should be directed to Paul Todd via fixtures@londonorienteering.co.uk. Next up on Sunday, 9 July, we venture south of the river for the first time this year to Wimbledon Common / Putney Heath — the event centre is at the historic Telegraph pub. Full details are available from SLOW. Thanks to you all for coming to our LOK GLOSS event at “Ally Pally”, and very much thanks to the LOK volunteers who helped us today, especially the control collection team who made our afternoon much easier. Three weeks ago we were still battling to get access to the park as the 10k “Run the Neighbours” was being held on the same morning. But we persuaded the authorities that the runners would be out of our way at 10.30am, and by delaying the start until 10.45am there wouldn’t be any overlap. So thanks for your patience. The time Ed Catmur did was a bit quicker than I would have liked for a Light Green, but felt the distance/climb was fair given the mixture of ages we are catering for on a GLOSS course. One apology: the parks dept put the new small fenced area between 7 & 8 in on Thursday last – and didn’t tell us! Sorry. Most people seemed to enjoy themselves according to the comments we heard, and we had many newcomers on the Yellow course. Over the years we have been involved from FROLICS to GLOSS, we have seen a different generation competing for the London Bus Trophy, and that’s good for the future of the competition. After using Ally Pally for the past two years, we expect to move to a different location for the LOK round, though we echo Catherine’s comments about the views. PS LOK had scheduled a “tent-pitching/checking” exercise today (to repair or throw out our older tents) so it was handy – for some of you – that we found the sun shelter in the back of the Klubb shed. It was a return visit to Wimbledon Common / Putney Heath and the Telegraph Pub with a bonus: the first ever use of contactless punching (SIAC) at a GLOSS event. 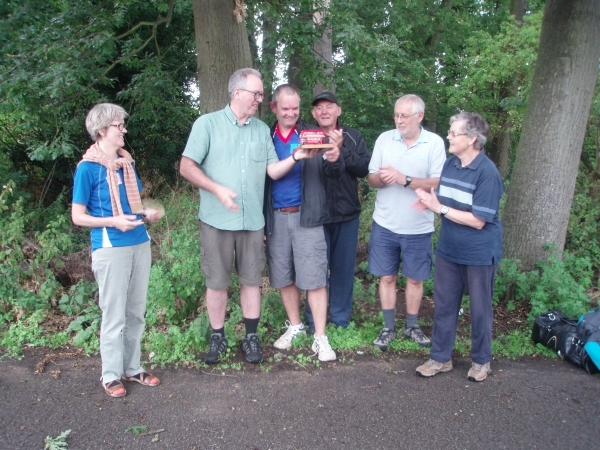 In contrast to the cool overcast conditions experienced last time round, it was, like the previous 2017 events, a perfect summer’s day for orienteering (25c). 96 (out of 100) competitors successfully navigated their way round the 3.9km 12-control GLOSS course held on the north and middle section of Wimbledon Common before finishing off on Putney Heath . This proved almost as tricky as the South East Middle Distance Championships courses held in April on the much more dense south west section. Scenic highlight of the course was running past the Windmill en route from control 3 to 4. The 3.0 km 8 control Extension course re-used 3 controls and an alternative route under the A3 to good effect. Thanks to Andy Robinson (Planner) for the GLOSS courses and also to Christine Robinson for organising. Full (unhandicapped) results are available here. See where you lost time on against the winner on Splitsbrowser. Show everyone where you went and review others’ routes on Routegadget (coming shortly). Paul Coulridge, repeating his 2015 (event 3) performance, and Abi Weeds, both of host club SLOW, were quickest round the GLOSS course in 21:52 and 25:09 minutes respectively. Quickest junior was Frank Townley (M14) (SN) in 31:10. However after handicapping, Ian Catchpole (DFOK) was quickest in 21:03 (after a deduction of nearly 19 minutes) as he was two weeks ago at Belhus Woods. Team mate Matthew Lefevre (M18), and previous week’s winner on handicap at Alexandra Park, was second. Speedy visiting Norwegian and Wimbledon tennis fan, Sindre Langaase (M55), was seventh overall and third on handicap after the addition of 4 minutes. 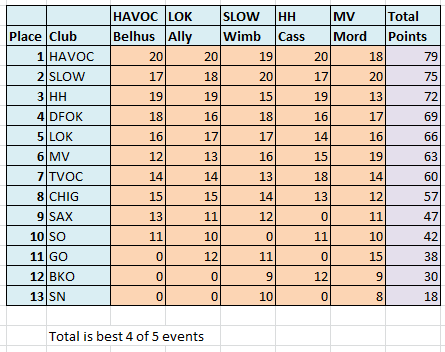 With the top six on handicap to score, HAVOC, DFOK, LOK, MV and HH as well as hosts SLOW were able to field full teams. SLOW were the clear winners of the team handicap competition fielding 17 competitors on home territory. HAVOC, however, outperformed all the other teams with 9 runners to come second overall and retain their lead. Team leader board is shown below. See here for handicapped results and team scoring. Any scoring queries should be directed to Paul Todd via fixtures@londonorienteering.co.uk. Next up on Sunday, 16 July, we venture north to Cassiobury Park on the outskirts of Watford for the penultimate GLOSS with all to play for. Full details are available from Happy Herts website. See you there! After a cool start it was another fine if overcast summer’s day (22c) for the fourth and penultimate event in the 2017 GLOSS series at Cassiobury Park in Watford. As well as landscaped parkland, Cassiobury offers a complex area of former quarry workings separated by the Grand Union Canal / River Gade and adjacent woodland. Conditions this time, however, were not so shin-high splashingly wet underfoot as had been the case in 2015. Further on there were a total of 8 tricky controls to be found along the far left hand strip of quarried woodland adjacent to the West Herts Golf Course. Thanks to Mike Bennett (Planner) for the GLOSS courses and also to David Tookey for organising. Full (unhandicapped) results are available here. Show everyone where you went and review others’ routes on Routegadget (coming shortly). See where you lost time on against the winner on Splitsbrowser within Routegadget. Last week’s outright winner, Paul Couldridge and Sue Carter, both of SLOW, were quickest round the GLOSS course in 22:52 and 33:18 minutes respectively. Quickest junior was William Chandler (M14) (LOK) in 37:43. However after handicapping, M70, Andy Elliot (DFOK) was quickest in 25:33 (after a deduction of nearly 22 minutes). Competitors from DFOK have now won every event in the series so far on handicap! With the top six on handicap to score, a record 7 clubs (SLOW, HAVOC, DFOK, MV, LOK, TVOC as well as hosts HH) were able to field full teams. 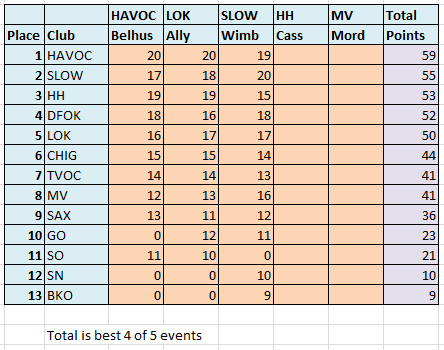 HAVOC, however, again outperformed all the other teams with 10 (out of 12) successful runners to win outright ahead of hosts HH with a record 35 competitors. HAVOC’s lead, based on three first placings and one second (at Wimbledon last Sunday) is now unassailable. Team leader board below. See here for the handicapped results and team scoring. Any scoring queries should be directed to Paul Todd via fixtures@londonorienteering.co.uk. Next Sunday we venture south to Morden Park for this year’s final GLOSS including prize-giving for the London Bus Trophy. Hopefully we can expect better weather than the wet and breezy affair (14c) of two years ago. Full details are available from Mole Valley. The rain held off until just before the prize giving. 85 (out of 89) competitors successfully navigated their way round the 4.4km, 75m and 18 control GLOSS course in ideal conditions – 16c & overcast, occasionally sunny. This was up 31 on the previous GLOSS held here in 2015 under wet and breezy conditions. This time however most of the long grass has been mown and baled, resulting in many rides not been as visible now as when the courses had been planned. The upside was that controls on the ride ends and junctions were very visible, which made for fast times. Planner (Mike Elliot) made the most of the grassy parkland with patches and strips of woodland and one mini-hill (#7). As before there was the need to carefully read the map to see where the gaps in the uncrossable fences were. The ripe blackberries were a bonus treat on the extension course. Thanks also to also to Deborah Sullivan for organising. Full (unhandicapped) results are available here. Show everyone where you went and review others’ routes on Routegadget. See where you lost time on against the winner on Splitsbrowser within Routegadget. Conor Short and Abi Weeds, both of SLOW, were quickest round the GLOSS course in 19:44 and 22:22 minutes respectively. Quickest junior was Ella May Rush (W12) (BOK) in 40:14. However after handicapping, Ian Catchpole (DFOK) was again quickest in 16:08 (after a deduction of nearly 19 minutes). Competitors from DFOK have now won every event in the series on handicap! With the top six on handicap to score, 5 clubs (SLOW, HAVOC, DFOK, LOK as well as hosts MV) were able to field full teams. SLOW were clear winners today with 17 successful runners ahead of hosts MV followed by HAVOC. HAVOC went into the final event of the series with an unassailable lead and were duly presented with the prestigious London Bus Trophy by series coordinator , Catherine Galvin. Final team positions Team leader board below. See here for todays handicapped results and team scoring. 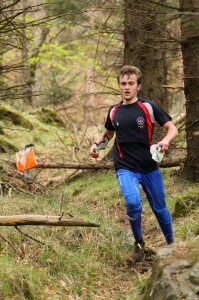 Any scoring queries should be directed to Paul Todd via fixtures@londonorienteering.co.uk. That’s it for this year – the 2017 series has been very successful with GLOSS numbers up by nearly 40% (483 versus 348). First event in the 2018 series will be hosted by LOK on Sunday, 1 July. In the meantime if you have any comments on the GLOSS series format or handicapping, please let me know at equipment@londonorienteering.co.uk .